Carbon Dial Tables are not just manufactured from round discs. They can be manufactured with all peripheral shapes. Obviously complex shapes require composite structural design and analysis to determine load bearing capability. Illstreet offers a service that will design your complex shape dial table product from composite materials. Shown below are some representative shapes. Illstreet can design many other individualized shapes for specific applications used in industry. 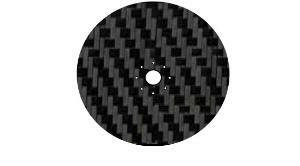 Basic Round Carbon Fiber Disc manufactured into a Circular Carbon Dial Table. Illstreet has extensively re-designed this circular product from composite materials. Provided that the original material product drawings are provided, with tooling load and working environment, a preliminary dial table composite material design can be provided for quote. 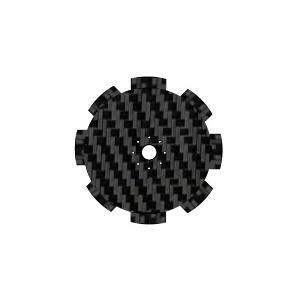 Basic Round Fiber Disc Manufactured into Circular Special Carbon Dial Table. Special Carbon Dial Table shown with cut outs. As a service, Illstreet will evaluate the impact of the cut outs or other features on the design of the Special Carbon Dial Table. Provided that the original traditional material product drawings are provided, with tooling load and working environment, a preliminary dial table composite material design can be provided, for quote. Rectangular Carbon Fiber Panel Manufactured into Rectangular Carbon Dial Table. As a design and analytical service, Illstreet will evaluate the design impact of a Rectangular Carbon Dial Table manufactured from a Carbon Fiber Panel. Provided that the original material product drawings are provided, with tooling load and working environment, a preliminary dial table composite material design can be provided, for quote. 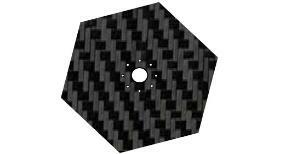 Basic Carbon Fiber Disc Manufactured into Hexagonal Carbon Dial Table. 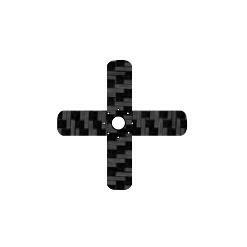 As a design and analytical service, Illstreet will evaluate the design impact of a Hexagonal Carbon Dial Table manufactured from a Carbon Fiber Disc. Provided that the original material product drawings are provided, with tooling load and working environment, a preliminary dial table composite material design can be provided for quote. 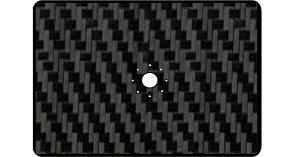 Rectangular Carbon Fiber Panel Manufactured into Cross Carbon Dial Table. As a design and analytical service, Illstreet will evaluate the design impact of a Cross Carbon Dial Table manufactured from a Carbon Fiber Panel. Provided that the original material product drawings are provided, with tooling load and working environment, a preliminary dial table composite material design can be provided, for quote.